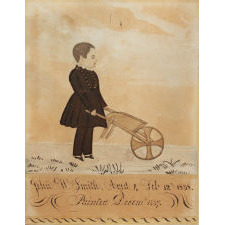 Antique Dealers Association of America - Full Length Profile Portrait of Little 4-Year Old Boy John Smith and his Wheelbarrow. JH Davis. New England. Likely Maine or New Hampshire. Dated 1837. 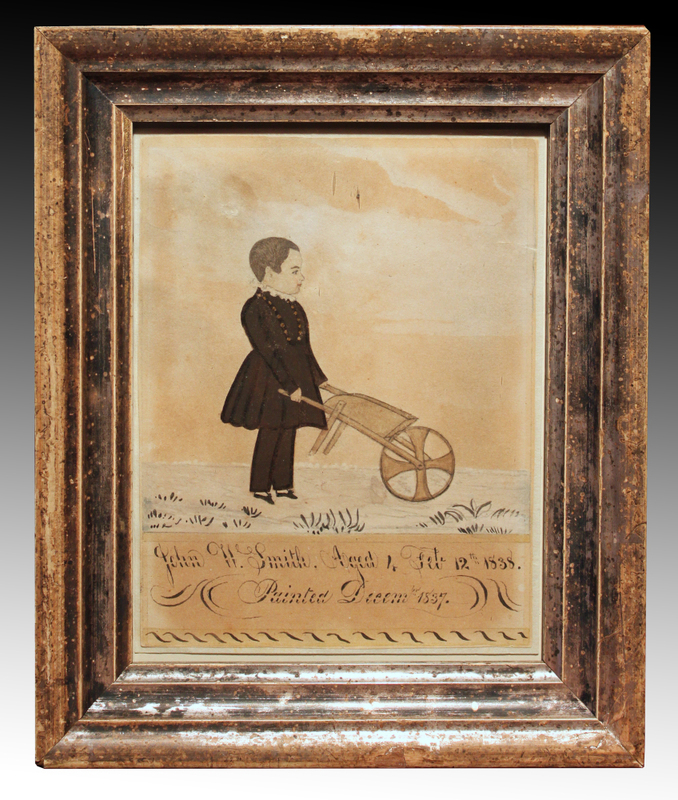 Confidently attributed to Joseph H. Davis, active 1832-1837. Of exceptional appeal and character. Watercolor, pencil, and probably gum arabic (to provide detail to the black clothing) on woven paper. The inclusion of the wheelbarrow is charming and is probably unique to surviving Davis' works. John wears a black coat with brass buttons over trousers, with frilly collar. Note the tiny feet. 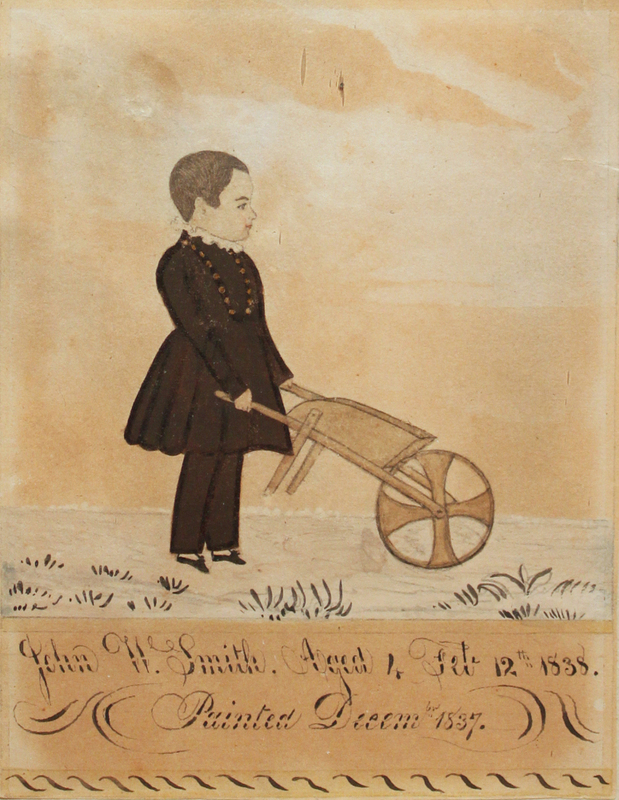 Inscription across the base reads: "John H. Smith. 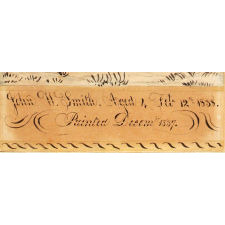 Aged 4 Feb 12th, 1838. 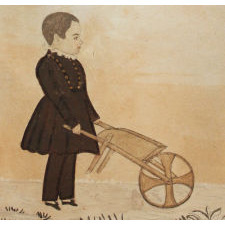 Painted December 1837". Excellent condition with expected paper toning. 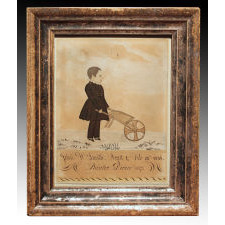 Overall frame size about 7 ¬æ inches x 6 3/8. Provenance: Prominent Midwestern Collection.